The following is an interview with the Rev. 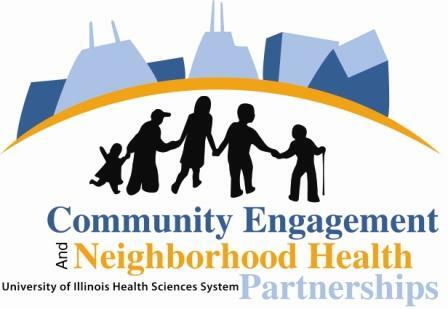 Dr. Shirley Gwendolyn Eloby Fleming, Co-Director of The Center for Faith and Community Health Transformation and Director of Faith Health Promotion for the Office for Community Engagement and Neighborhood Health Partnerships, University of Illinois-Chicago. Dr. Fleming has been intricately involved in issues of infant mortality and advocating for better care and health outcomes for pregnant and new mothers. She updates us on the status of infant mortality in the United States and highlights the particular problems with high infant mortality among African American and Latina women. She suggests strategies for improving the health of mothers and their children. Dr. Fleming says that the infant death rates can be reduced if we look at the importance of “relationality” as a health factor and provide more social support for mothers and their families. She notes that current research suggests that the presence of loving, supportive families, communities and institutions are key factors in reducing the mother’s stress and improving the child’s survival rate. Dr. Fleming was interviewed by Cynthia Milsap, our staff blogger and communications liaison. Milsap: Dr. Fleming, how are we doing in addressing the issue of infant mortality in America? Rev. Dr. Fleming: As a country, the United States has made some progress in overall infant survival. However, when we compare the U.S. birth outcomes to other industrialized countries, we are not doing well. Our infant mortality rates are among the worst in the industrialized world for black, white, and brown babies. In 2010, the Centers for Disease Control and Prevention reported that the U.S. ranked 26th among industrialized countries in infant mortality. We are not making the progress that we should be making in this area. First, let me define what we mean by “infant mortality.” Infant mortality refers to the number of infant deaths per 1,000 live births. An infant death is the death of a child between birth and one year of age. Although we are concerned about all infant mortality among all ethnic groups, it is important to identify and examine racial and ethnic differences within the overall infant mortality rate and immigration status. African American women have an infant mortality rate that is twice as high as white women. Unfortunately, this gap is widening. When Latina and other immigrant women enter the U.S., their infant survival rates are similar to white women. However, the longer that Latina women stay in the U.S., the worse their birth outcomes become. In other words, there is something that is not good for infant survival in the U.S. for black and brown mothers and babies. The gap in infant mortality rates between black, brown, and white babies broadens or worsens over time. Even when we look at women with higher income levels, greater income does not reduce the gap in mortality rates among African American women when compared to white women. For African-American women the rate of infant mortality increases with a rise in income and socioeconomic status. Milsap: Dr. Fleming, what are the reasons for this high infant mortality rate among women of color? It seems illogical since we would expect first generation immigrant women to arrive with less money but to earn more as they learn to navigate life in the U.S. and find employment opportunities. One would expect that the health of the children of these women would get better, if they are earning more money and have become familiar with the U.S. healthcare system and its services. Fleming: The myth is that infant mortality is caused by mothers who do not take prenatal care seriously, but recent studies show that stress is one of the biggest factors in infant mortality among women of color. Dr. Ronald David, an infant mortality expert, stated in a Congressional report on infant mortality that “Poor pregnancy outcomes and infant mortality are not a consequence of poor prenatal care or mothers behaving badly” (Go to Ruth’s House, 2007) Instead, Dr. David indicated that a major issue impacting infant mortality was “relationality,” the concept that living things grow and thrive when they have positive relationships or environments in which to grow. And likewise, when environments are not supportive, they do not do well and may die. This is part of what is happening with African American and Latina women who are dealing with negative environments and stressors. There are additional stressors placed on women of color due to racial and social inequalities. It is the presence of greater stress factors and a lack of adequate social and family support that poses an increased threat to the mother and the child’s health. Although immigrant women may have less money when they arrive in the U.S., they usually come with a stronger connection to their cultural ties and a network of family and social support. But the longer they stay in the US, the more they seem to assimilate into American culture. This means adapting more individualistic ways of being and this often causes them to break away from reliance on the family social support and networks which have previously supported them. It also means working multiple jobs to make ends meet. Many women/families have moved away from the families and communities which provided their initial support. For both Latina and African American women, there are issues of racism and social inequality which place another layer of stress on these women. When they progress financially on their jobs, they also experience a higher level of workplace stress as they are ignored or disrespected in their positions at work, even when they are supervisors. They also may not receive the same level of social support in the workplace. Social isolation, gun violence in their communities, and domestic violence issues are among some of the other stressors that many women experience in their communities. Milsap: How do these stress factors impact the infant mortality rates of women of color? Fleming: In the case of African American and Latina women, the addition of unrelenting stress caused by racial and class inequities places extra stress on these women during pregnancy. When you are worrying about money, relationships, community violence, or disrespect on the job due to racism, these stressors accumulate over time and put your body in a constant state of flight and stress. This, in turn, produces and releases higher levels of stress hormones which have a negative biological impact on a woman’s body. When these hormones are released they cause blood vessels in the heart and other parts of the body to constrict and reduce the flow of blood and oxygen to organs. In pregnant woman, these changes reduce the nutrients that circulate to the placenta and tissues and reduce the overall blood supply that the baby receives. This leads to lower birth rates and greater baby distress. We are seeing more babies born prematurely and with birth rates lower than 5 lbs. 8 oz, which is considered the minimum desired weight for a new born. In other words, continuous stress gets under your skin and has negative impacts on the health of the mother and her unborn child. We need to address these stress-producing factors if we are serious about improving the health of African American and Latina women and their babies. Milsap: What are some of the solutions or strategies that we can use to address these stress factors and subsequently, infant mortality rates? Fleming: We must develop loving and supportive communities and institutions that can help alleviate the stress women and families feel during pregnancy. There’s family or community support, which in the faith community means thinking of ways to develop ministries or support groups for pregnant and parenting women in all categories – married and pregnant, single adults who are pregnant, and pregnant teenagers. We need to develop social spaces where girls and women can share common experiences and get the information and loving support they need. Too often, women who are not married when they become pregnant receive more judgment than social support. We need to help these women and their babies to live and thrive. Faith communities have to learn to embrace and care for these girls and women instead of judging and making them feel like outcasts. Social rejection is not good for the health of the mother or the baby. We also need to have “pre-marriage” support ministries for couples who are living together and raising children. Legislatively, our social policies need to catch up with those of other developed countries by offering better family maternity leave programs that recognize and affirm both the mother and father’s role in the healthy development of children and the importance of breastfeeding. Many other countries have more generous paid maternity leave programs than those that are offered in the United States. Policies related to a living wage, access to affordable family planning and pre-conceptual well-women’s care and support of breastfeeding mothers are also important social policy support for women, infants, and families. And finally, we need to take the impact of “relationality” or “social support” seriously and create more loving communities through our family networks, parenting support groups, faith communities, and other community networks. It also means that we need to have the “courage to love.” By “courage to love,” I mean that we need to be willing to push for better social policies and structures that are actually good for mothers, fathers, and their children. Change is not always popular, so you have to be willing to stand up and to fight for changes that will benefit our families and our communities. And that takes courage. But we have to do it out of love. We have to have the courage to love and to fight for justice, because justice is what love looks like in action. “Race, Stress, and Social Support: Addressing the crisis in Black Infant Mortality,” by Fleda Mask Jackson. Joint Center for Political and Economic Studies, National Commission on Infant Mortality, Health Policy Institute, Washington, D.C., 2007.